Keeping its legacy to present lightweight sports cars, Lotus once again rules the arena with its Evora. At the 2016 Geneva Motor Show, company unwrapped the Lotus Evora Sport 410 2017. Model features a lightweight body made from carbon fiber and a powerful engine that further takes the model to new heights. 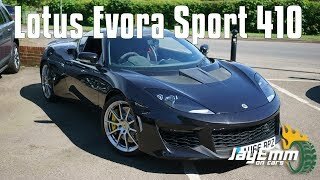 Let us have a look at the review of Lotus Evora Sport 410 2017 to know in detail about it. The interior of Lotus Evora Sport 410 2017 is very much identical to the standard 400 model. However changes are integrated to make it give the most desired sportier ambience. Entering inside the car, you’ll first notice the set of carbon-fiber bucket seats wrapped in Alcantara getting the contrast stitching. The same essence can be further noticed on the door panels also. It isn’t just the seats and door panels that get the lightweight treatment. Further we have aluminum gear knob in case you chose manual transmission, gunmetal door release levers, aluminum made door sills, plate and pedal pads while the steering wheel and the center console gets Alcantara. One thing that might surprise you is that the infotainment system isn’t standard with the model, it comes as an option. 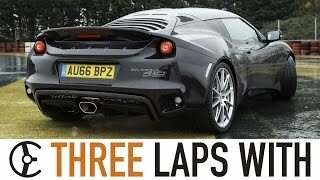 Thus rounding up the interior details of Lotus Evora Sport 410 2017 all I would say is that the model is designed with the race spec details and is totally driver oriented. Just like the interior, exterior of Lotus Evora Sport 410 2017 is identical to the standard model. However there are certain inclusion like the 10-spoke forged wheels, lowered suspension, rear wing and the ‘Sport 410’ decal which makes it look different. Apart from these visual changes, the model also receives a lightweight body in comparison the base version. The features include intense use of carbon fiber and other lightweight materials in making the tailgate, quarter panels, rear diffuser, splitter and roof. These lightweight inclusions are designed in such a way that they add to the aerodynamic downforce without increasing the drag. Another most interesting integration comes with the carbon fiber made front hood, roof, tailgate, rear spoiler and diffuser. These parts don’t go with the rest of the body color, instead come in bare carbon fiber. 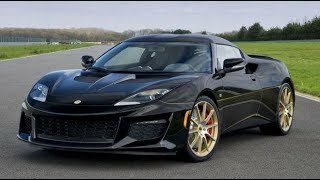 Thus rounding up the exterior details of Lotus Evora Sport 410 2017 I would call it a sportive model with great work of engineering and design. Beneath the hood of Lotus Evora Sport 410 2017 is a supercharged 3.5 liter V6 engine generating total output of 410 hp and peak torque of 410 nm paired to six-speed manual or automatic transmission. 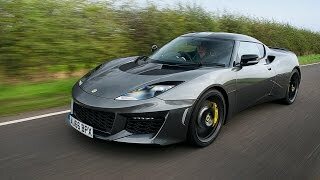 With this power the top speed of Lotus Evora Sport 410 2017 touches the mark of 186 mph when installed with manual transmission and with automatic it can touch the top speed of 174 mph. The model can sprint from 0-60 mph in just 4.0 seconds (manual) and 3.9 seconds (automatic).